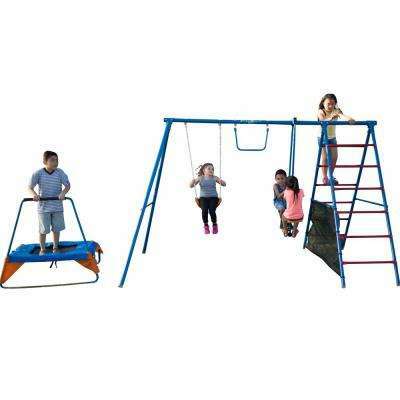 When you don't feel like packing up and trekking to the playground, swing sets bring the fun right to your backyard. 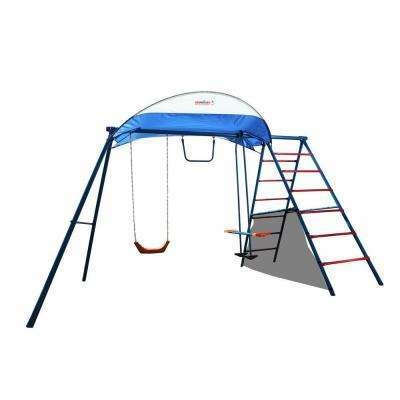 Whether your outdoor space is big or small, you'll find an option to suit your family's needs. 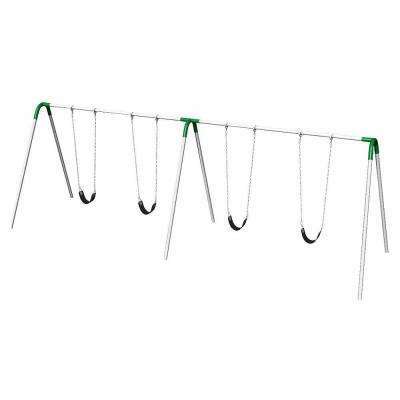 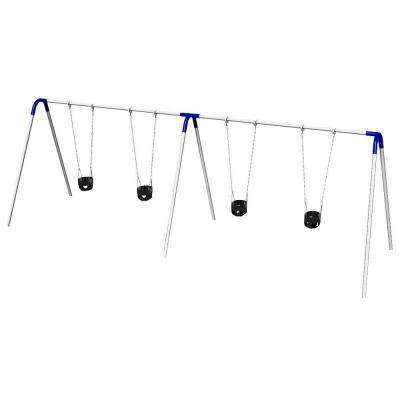 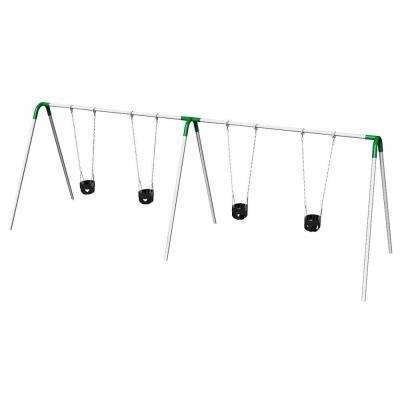 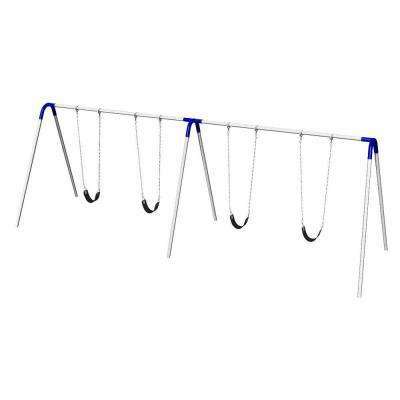 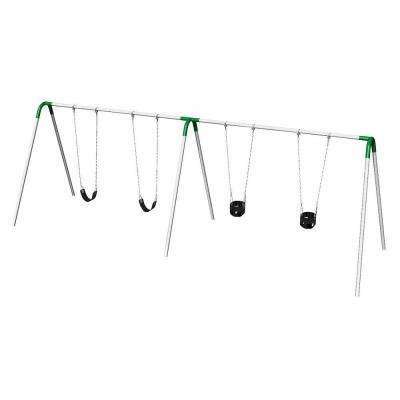 Shopping for a swing set for a baby? 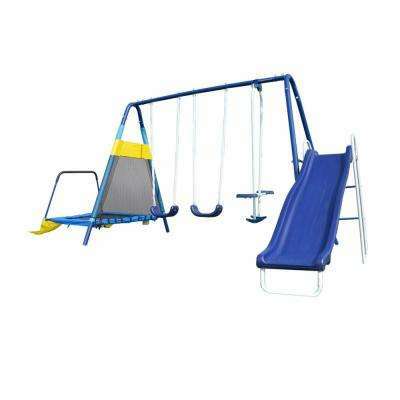 Consider features like bucket seating or high-back coasters. 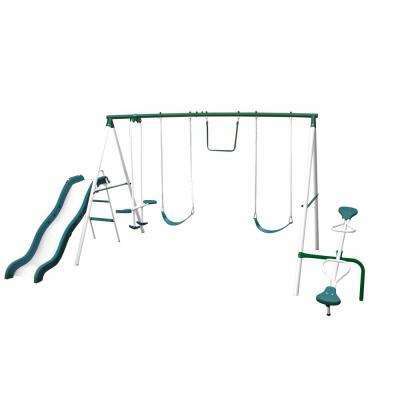 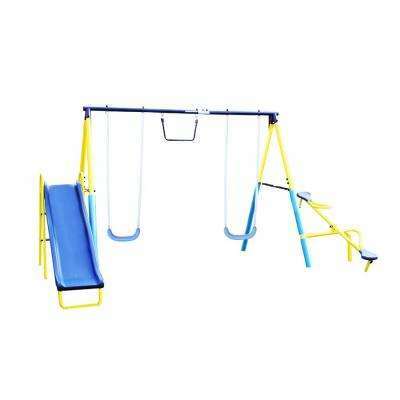 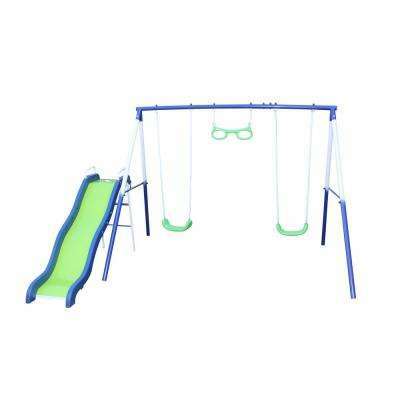 If you’re searching for a toddler swing set or one for grade-schoolers, explore our collections to match their size and interests. 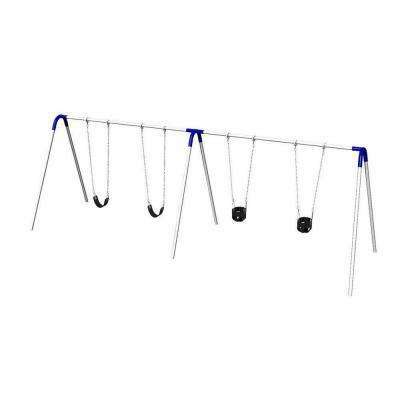 As your child grows, you can replace the baby equipment with age-appropriate accessories like a trapeze bar with rings or a tire swing. 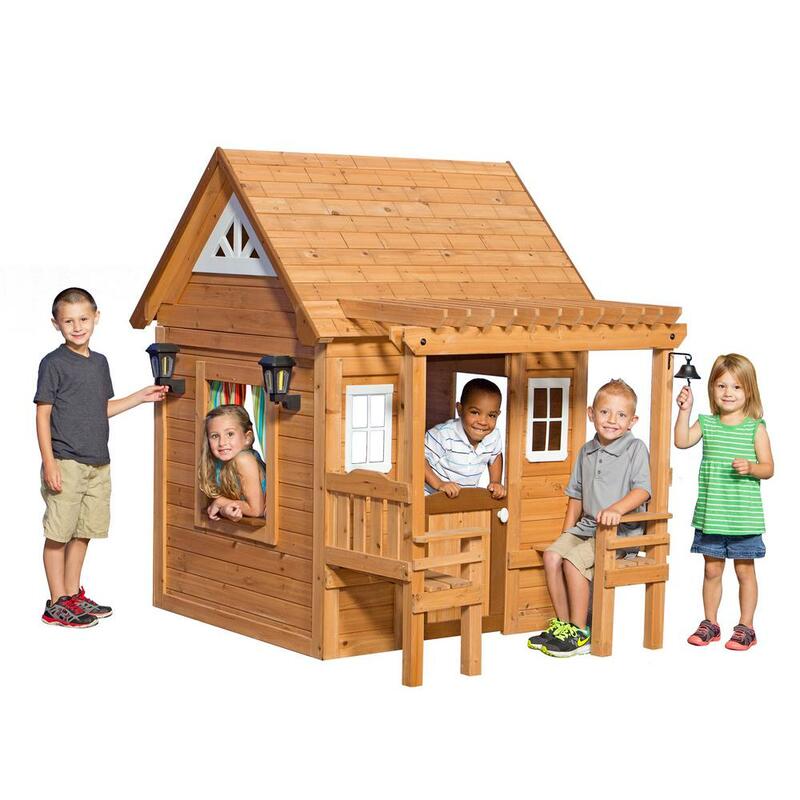 Also, look for options that encourage imaginative play, from pirate ship steering wheels to telescopes and megaphones. 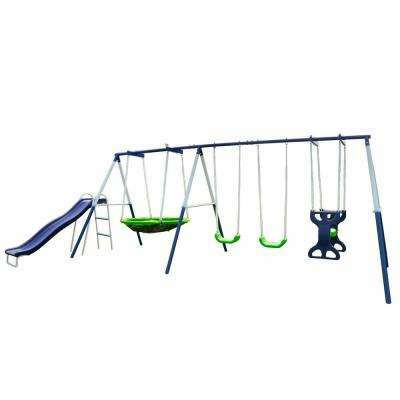 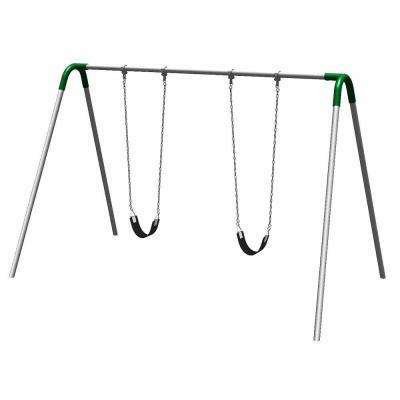 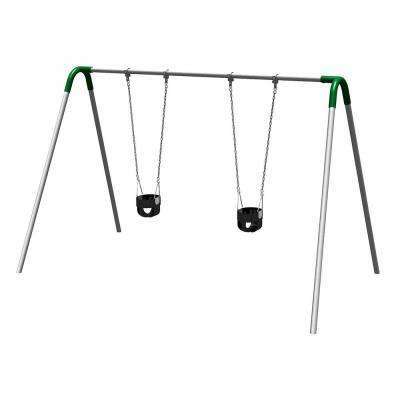 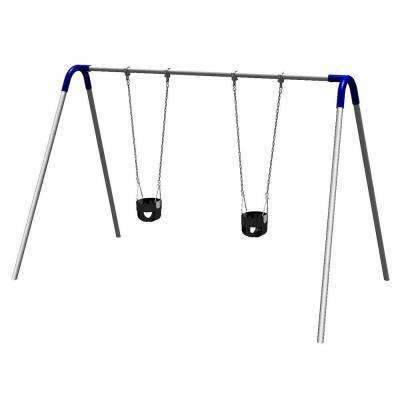 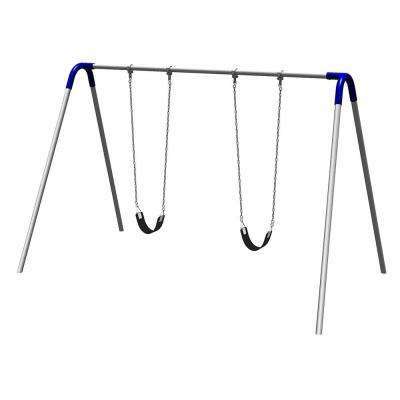 Most backyard swing sets are made of either wood, metal or plastic. 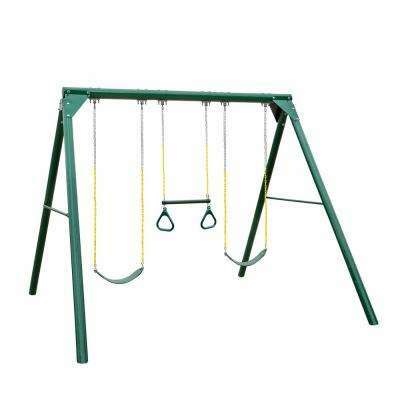 Powder-coated steel and UV-protected polyethylene plastic prevent rusting and splintering and are made to last a lifetime. 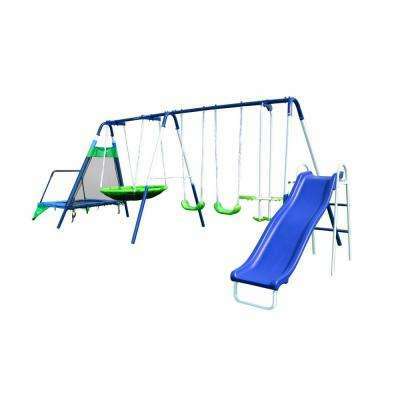 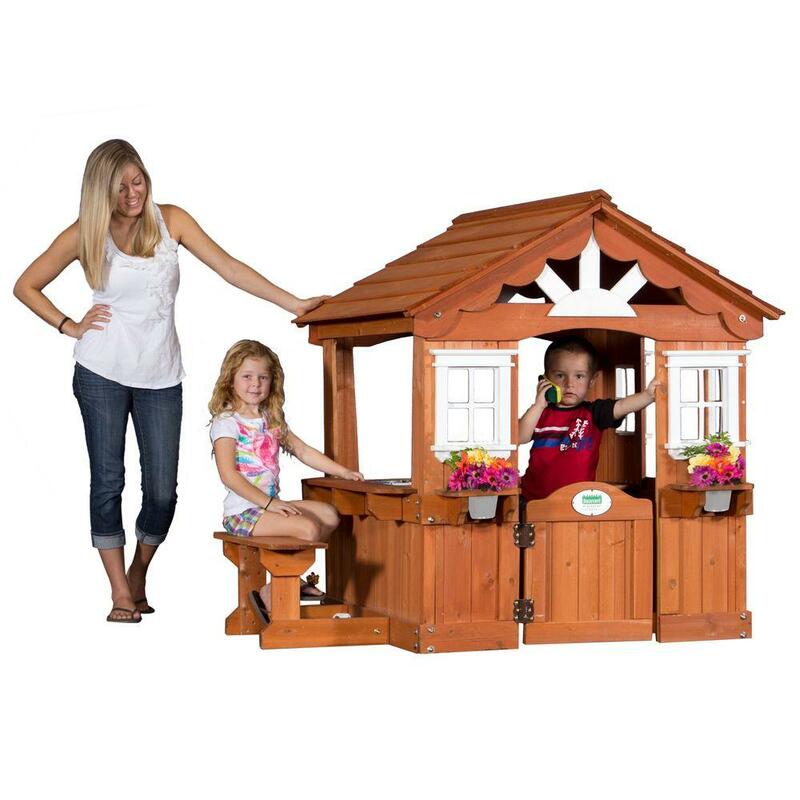 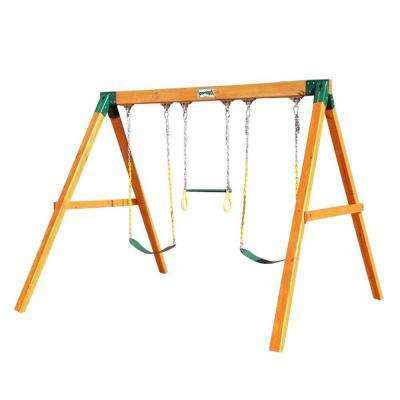 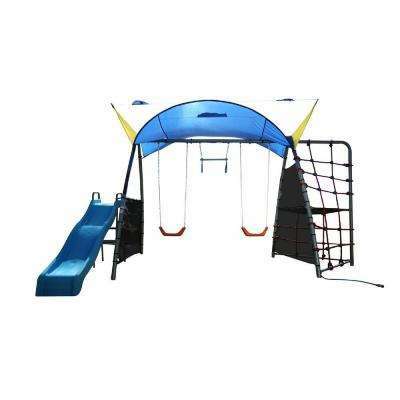 Wooden swing sets come in configurations ranging from a simple A-frame with a slide to a multi-story activity center. 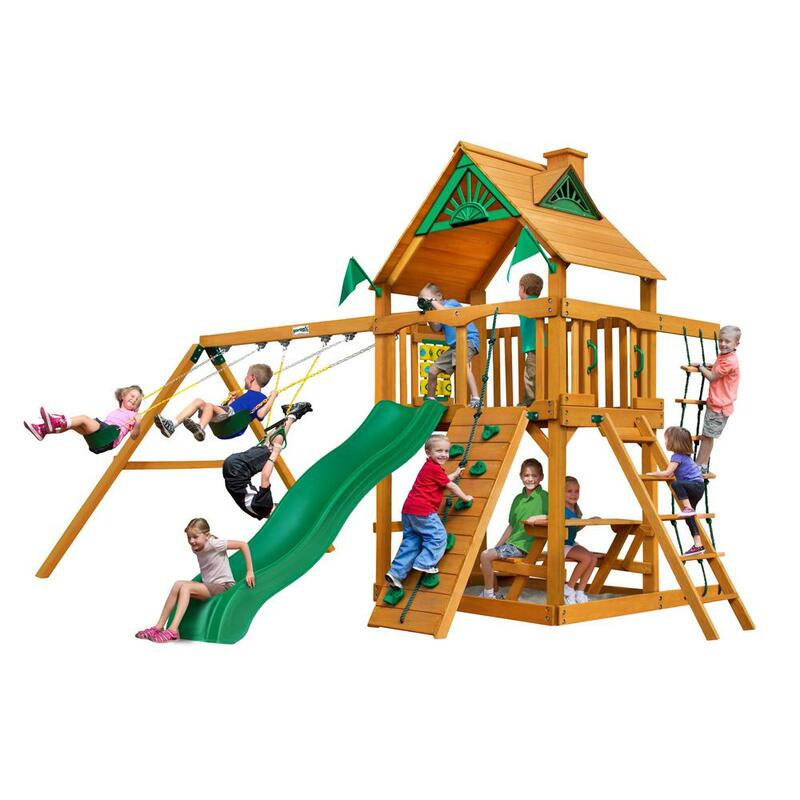 Gorilla models are built from durable cedar and include an array of additional features like climbing walls, rope ladders and sandboxes. 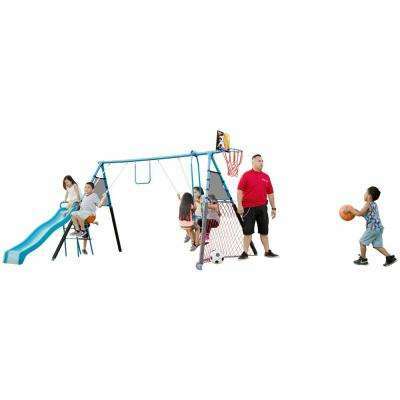 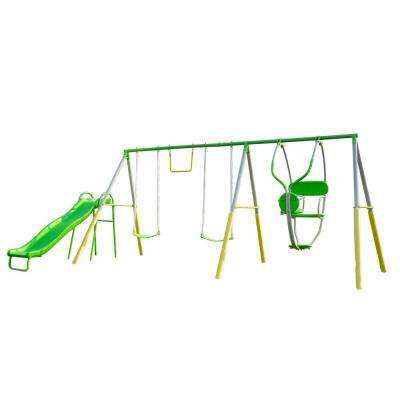 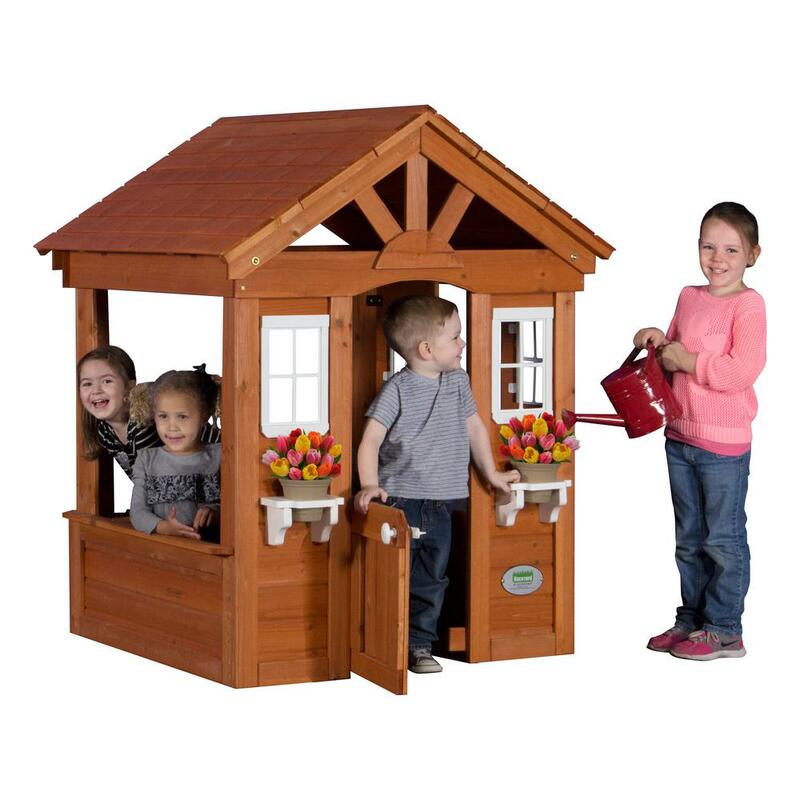 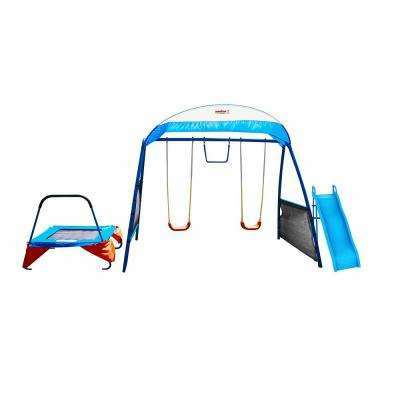 A Step2 set includes a frame made completely from polyethylene plastic for years of maintenance-free play.